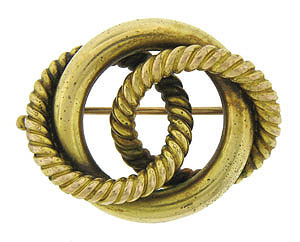 A trio of intertwining rings fashioned of 14K yellow gold adorn the face of this 18K yellow gold pin. Two of the rings are engraved with a rope style decoration. 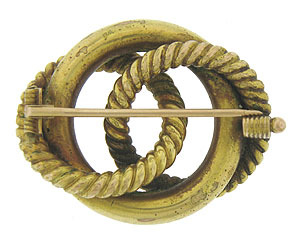 The estate pin measures 1 1/4" in length, 1/4" wide. Circa: 1950.